Anyone addicted to old black and white films from the 1930s will know that the pencil thin moustache was a very popular fashion accessory for the stylish male. It was a short but intense fad that disappeared as the decades shifted gear and so far as I'm aware, never returned again..at least not in any great numbers, though I did notice Brad Pitt had kind of one for a while. 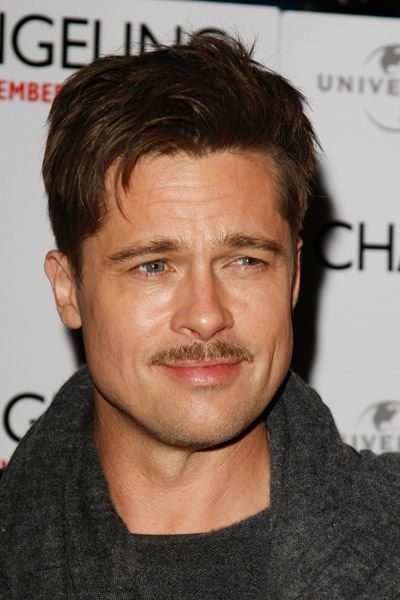 Pondering on this pencil thin question, it occurred to me that all the childish crushes I had on old actors (and there were a few), sported one of these archaic moustaches. 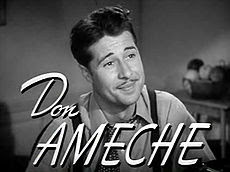 Let's see, there was Don Ameche, who when I was eight or nine, thought was the bees knees - he was just so darn pleasant and had a great smile, as well as a carefree attitude. Yes, he was a serious crush. 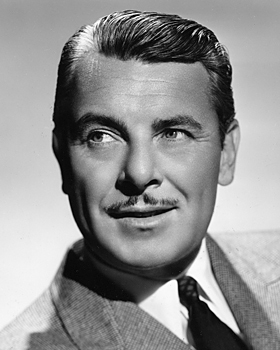 After Don, who, disloyal worshipper that I am, faded from view, I moved on to George Brent who was older and more mature but then so was I. When I was in my late teens, George seemed to me the epitome of sophisticated good humour, helped along in no small way I'm sure, by his defining pencil thin moustache. I wondered, with a certain wistful sadness, why there weren't men like George around anymore? In my twenties, I discovered Errol Flynn, a fellow Australian and as elegant a rake as you'll find in a 30s film. Someone gave me a Leading Men of Hollywood book for my birthday and when the page fell open on a full glossy print of Errol's handsome yet sensitive face, well I'm afraid George had to move out of the way. 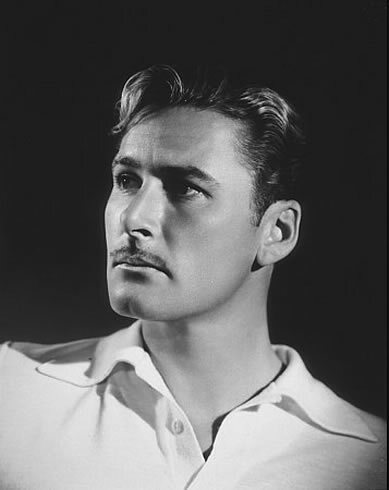 I just can't imagine Errol without his pencil thin moustache, so integral a part of his facial features was it. In fact, I wonder if it's even possible to be a swashbuckler without one. Which reminds me...why don't men swashbuckle anymore? More recently, I've begun to have *feelings* for the charming and urbane William Powell, after watching some old Thin Man series where he sparred with Myrna Loy. 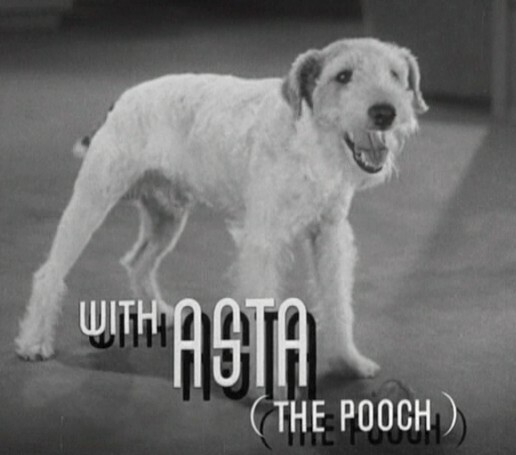 The dog was pretty cute too..but no moustache. I mean really, how debonair can you get? Strangely enough and despite all these nostalgic black and white yearnings for men gone by, I don't think I'd like to see pencil thin moustaches on men today. It just wouldn't be right somehow...the pencil thin moustache belongs in the 30s, to an era that just can't be recaptured.